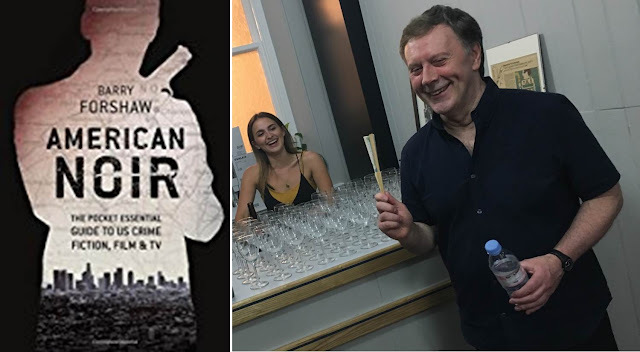 So on a hot and humid evening close to Covent Garden, many of London’s literary community gathered to celebrate the launch of American Noir by Barry Forshaw. 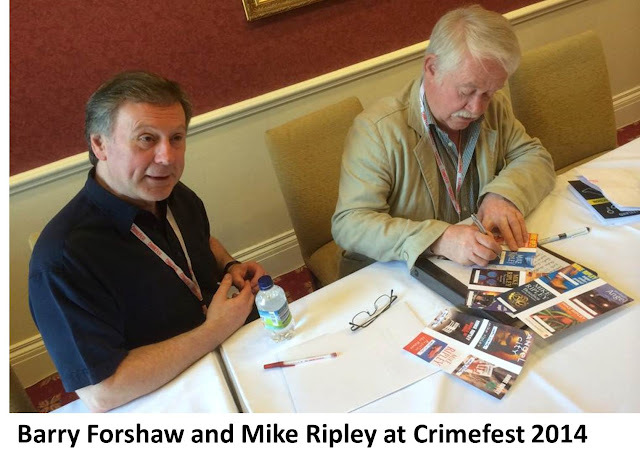 I first encountered Barry Forshaw back in the 1990s, when I used to pick up copies of Crimetime Magazine when it was shelved with the Crime, Mystery and Thriller novels at my local Waterstones in Southend-on-Sea [pronounced ‘Sarf-End’]. Barry Forshaw was [and still is] the Editor of Crimetime. Back in the 1990s, there was a blossoming of the Crime, Mystery and Thriller genre, where we saw the emergence of writers such as Michael Connelly, Dennis Lehane, George Pelecanos, Harlan Coben as well as the establishment of Tartan Noir with Ian Rankin, Val McDermid, as well as Peter Robinson, Lee Child – to name a few. I would state that the hand of Barry Forshaw was behind the curtains, as were many others. There was gentle rivalry between Shots Magazine and Crimetime, and when the internet took hold both publications transferred their readership online. 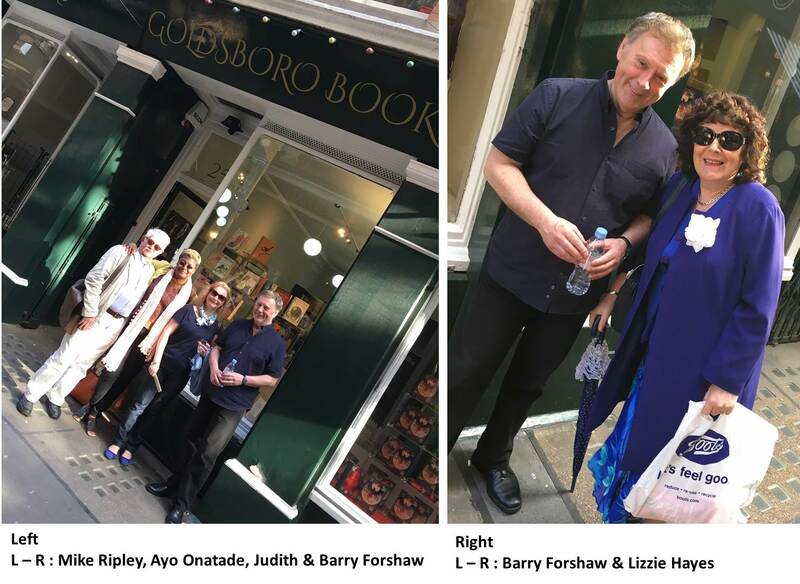 Mike Stotter and I would bump into Barry Forshaw from time to time and we’d compare notes on our reading and reviewing. 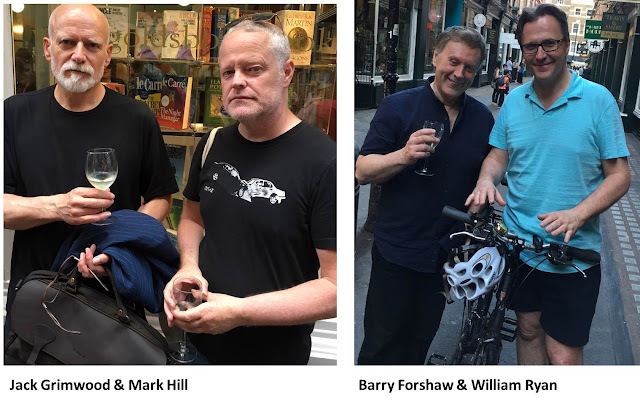 It would be much later that Barry and I realised our paths had crossed many years earlier thanks to our love of Cinema, and Horror Fiction with writers such as James Herbert, Ramsey Campbell as well as our enjoyment of American comics. 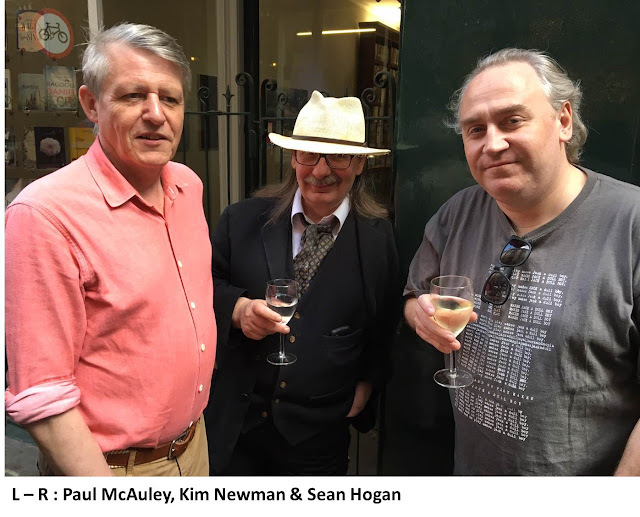 When we were younger, and before we knew each other personally and professionally, we would frequent London’s Dark They Were and Golden Eyed, and later Forbidden Planet comic bookstores. While Mike and I worked with Shots Ezine and had challenging ‘day-jobs’, with Mike in London’s financial district [‘The City’] and my own interests in Chemical Logistics – we always admired Barry with his toil as a freelance writer [and at one stage comic book artist, as well as an authority on butterfly collecting]. Barry used to be a regular columnist for fondly remembered Publishing News. I recall with clarity Barry’s concern when that publication ceased trading, for life as a freelance writer is an erratic one in terms of livelihood. Barry battled on, editing Crimetime and with his by-line gracing many diverse magazines such as Record Collector, Music Review, many newspaper review columns as well as commentary. Mike and I thought we were well read, that was until we met Barry – who has a memory and inside knowledge of the crime, mystery, horror and thriller genre [film as well as literature] that is extraordinary. Mike and Barry share interests in Music, and soundtracks though one tip, never bring up Butterfly collecting when in the presence of Mr Forshaw as the breath of his knowledge on Lepidoptera will keep you enthralled for hours. Barry is also an acclaimed writer and literary commentator in his own right, with several publications under his belt. Though one of the more challenging was his Editing of The Greenwood Encyclopaedia of British Crime Fiction, for which he assembled a number of colleagues to assist [and in fairness we were paid reasonably well and got contributor’s copies of the book]. Barry provided Jeff Pierce of The Rap Sheet some insight here. And later Barry penned the first Biography of the late Stieg Larsson [entitled The Man Who Left Too Soon] and he kindly agreed to an interview with me following our meeting at the Swedish Embassy in London – read more here. Later Barry discussed with me an idea he had for a critical examination of The Silence of the Lambs as he knew of my enthusiasm for the work of Thomas Harris and my correspondence with Harris as well as my own contribution of literary analysis of the insane psychiatrist from Baltimore. It would be the interest in Mainland European Crime Fiction that boosted Barry Forshaw’s literary profile with further work, such as Nordic Noir, Death in a Cold Climate. There were rumours among London’s literary community that Barry and his wife Judith were applying for Swedish Citizenship, but those rumours were unfounded, for he had been flown out to the Nordic regions for a TV feature that he was involved in. 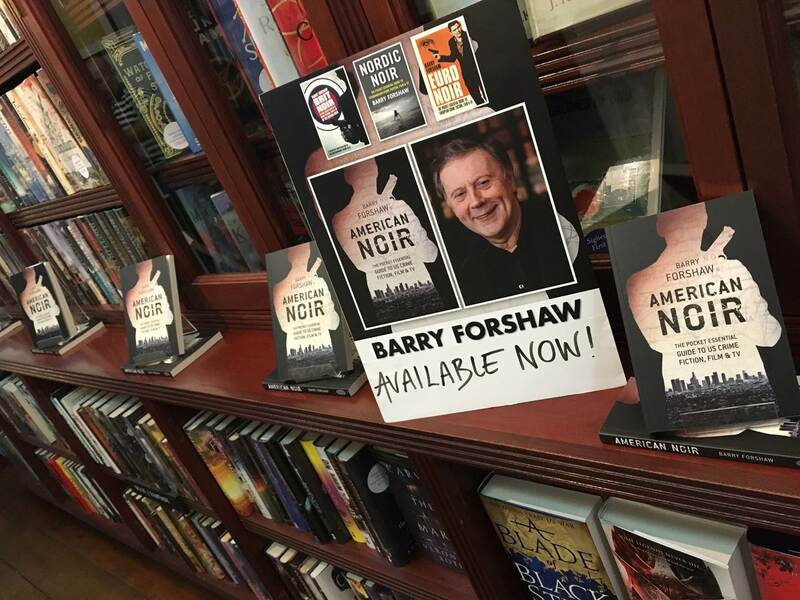 With Brit Noir, Barry Forshaw illustrates why he is fondly regarded as one of the UK’s foremost literary and film critics; and it also indicates that to think of him only as Stieg Larsson’s first biographer would be doing Forshaw a great injustice. I am certain that this volume will soon become well-thumbed with continual use by those grabbing a copy; and remind us, that when it comes to Noir in our crime fiction, one must never underestimate the influence of the British. The term “Noir” is used in the broadest of definitions covering not only literature but also film and television drama with a critical eye. This volume also contains a number of interviews with authors that make this book prescient; a particular delight being Forshaw’s dialogue with James Ellroy. Forshaw’s work is also useful to remind readers of lesser known authors, and authors that for some – are forgotten – all interspersed with the bestselling names. 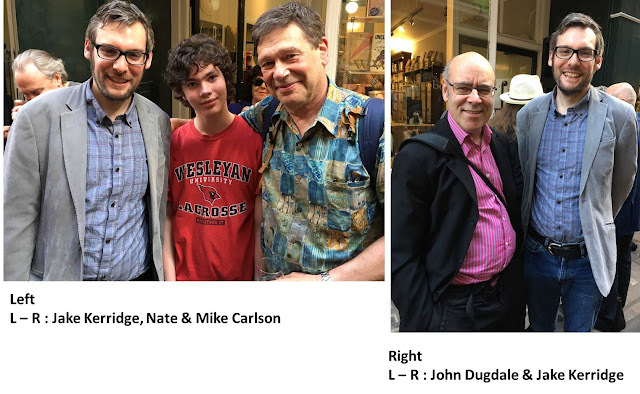 It was good to see authors that are less well known in Europe than on their native shores - such as Victor Gischler, Charlie Huston, Chris Holm, Lisa Lutz and Naomi Hirahara (to name a few). American Noir is not only a book to dip into, but also to read from cover to cover if one is seeking a primer on this important area of crime fiction. 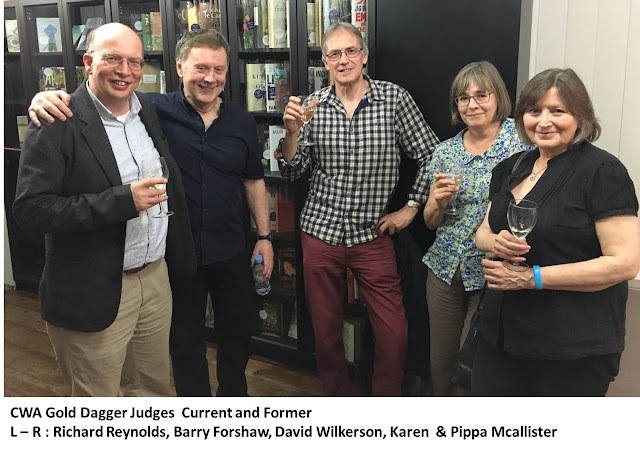 It should also be noted that Barry is involved in the Petrona Award, and he has been the Master of Ceremonies for The Crime Writers Association Dagger Awards and in fact he was awarded the 2017 HRF Keating Award. Though the rumours about his liaison with Felix Francis as discussed by Anthony Horowitz at Crimefest 2017 were frankly libellous, but amusing nonetheless and can be viewed Here. 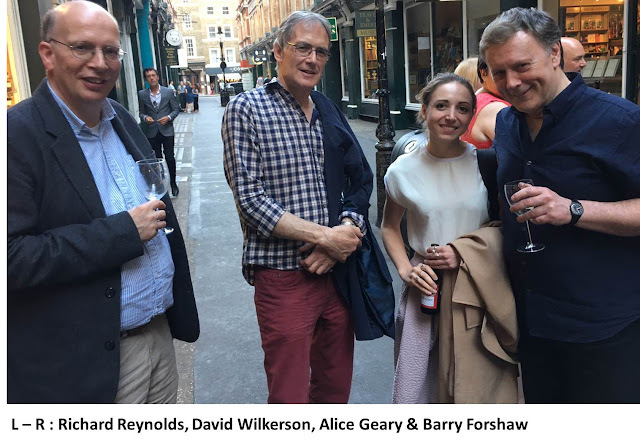 It was a rather hot and humid summers’ evening in London, so due to the heat and the sheer number of guests that turned up at Goldsboro Books to celebrate the launch of American Noir, Barry decided to welcome the guests on the street – much to the amusement of many who gathered to cheer him on. There were far too many people to list, authors, publishers, editors, writers, commentators as well as an interesting chap from London Zoo’s Lepidoptera department. So without further ado we present Barry Forshaw’s short and amusing welcoming speech. Great post! Goldsboro Books does so much for crime and mystery writing! 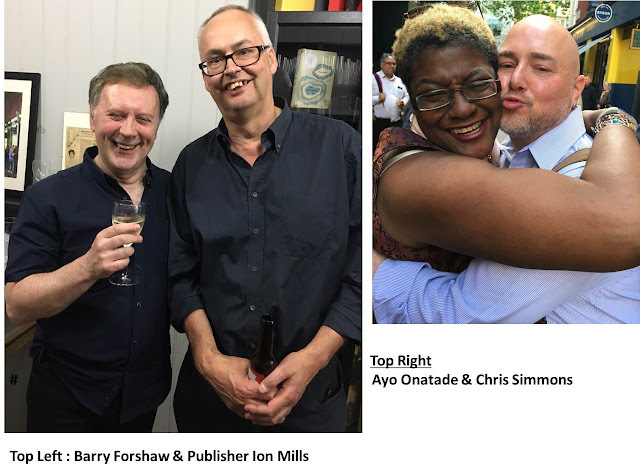 Your digest of Barry Forshaw's career sparked memories of all those shops and magazines that are no longer with us except in some virtual form. Thank you!